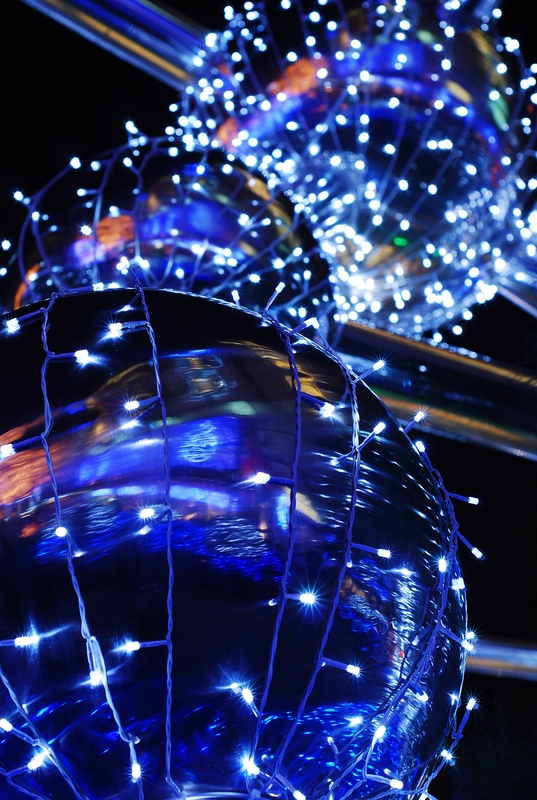 The twinkle lights around Ottawa are still emanating a soft glow even though most of us have started to hunker down for the harsher winter months that lie ahead. In between Christmas and New Years, I started sketching out a list in my head of resolutions for 2013. I have always considered the beginning of a calendar year as a clean slate — it’s bright, it’s shiny, it’s dazzling. My resolution year-after-year focuses on living and leading my life by example. Be the light, see the light. And in my adulthood, I’ve seen the light, so to speak. To explain myself, in recent years, I’ve come to recognize the value of having Korean role models. There’s something quite special about being able to identify with your role model through, among other things, a shared ethnicity. As a Korean adoptee, it’s a concept that didn’t resonate with me until later in life when I had my own daughter. So, who is my Korean role model? Most certainly, Senator Yonah Martin. As a Conservative Senator from British Columbia, Senator Martin was appointed by Prime Minister Stephen Harper in January 2009. 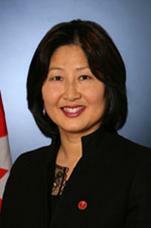 She is the first Canadian of Korean descent to serve in the Senate of Canada and the first Korean-Canadian Parliamentarian in Canadian history. She is an excellent example of someone whose achievements transcend gender, ethnicity, and age. I ask myself though, from where does Senator Martin derive her inspiration, who are her role models and sources of strength as a Korean-Canadian. Thankfully for me and you, she graciously took the time to answer these very questions. Enjoy! Q: Being a role model yourself, I’m interested to learn who your role models were when you were growing up? What are the greatest influences he/she/they had in shaping the person you are today? My parents have been my greatest role models. My father was a man of few words, but his silence spoke volumes. He was a man of authenticity and honesty, which actually got him into trouble with my mother because he could never disguise his emotions, be it boredom or displeasure or other, in public places. In silence (but for a few gasps when I narrowly missed a parked car), he let me learn how to drive, never showing anger or frustration towards me. He quietly demonstrated his steadfast faith in God, staying at the same church for nearly 4 decades, until he physically was unable to attend. At his funeral, the Minister shared an anecdote about my parents whose quiet service in the church would have gone unnoticed had he (the Minister) not stayed late in his office one Saturday evening to discover their unsung service. He heard a slight noise in the main sanctuary adjacent to his office, and thinking a burglar had perhaps broken into the church, he peeked in to see my parents cleaning the pews, as they apparently had done for years as weekend custodians to save the church money. I learned from my father, the virtues of humility, patience and true faith. My mother is the opposite – expressive, passionate, and above all, compassionate. From her I have learned to savour the moment, find joy and beauty in small things, and care deeply for humanity. When I returned to work full time, she and my father (then retired) offered to provide full-time child care for our daughter. My mother’s mantra to me, “Do everything I never had the chance to do” inspires me to seize each and every day. I am a healthy blend of my father and mother. My parents, who were both born at a time when Korea was occupied by Japan and later spent their teen years surviving the Korean War, inspire me to live with intention and realize all my dreams. Q: What does it mean to you to be the first Canadian of Korean descent to hold federal public office? Do you have an extra sense of responsibility or do you place more pressure on yourself as the first? Can you describe some of your proudest professional moments, either in your career as a teacher or your tenure as a Senator? How do you want to be remembered by Canadians? It is truly an honour for me to be the first Canadian of Korean descent to be appointed to the Senate and to be the first Korean-Canadian Parliamentarian in Canadian history. On most days, I feel extremely privileged to be where I am, to have the opportunity to represent the national Korean community and further Canada Korea relations. As a proud daughter of Canada and Korea, I have the opportunity to be where no one has been before. But with great privilege comes great responsibilities. On rare days, I can feel the weight of my deep sense of duty and pressure as the ONLY Korean-Canadian in Canada’s Parliament. I feel the growing pressure of people’s high hopes and expectations all around me, of the self-imposed pressure I feel within me, and the weight of the work that seems endless, no matter how early I start my day or how diligent I try to be. But on most days, I feel a sense of destiny and determination to do the best that I can. And I am sincerely grateful for this divine opportunity. There have been several key moments where I have felt an acute sense of destiny. 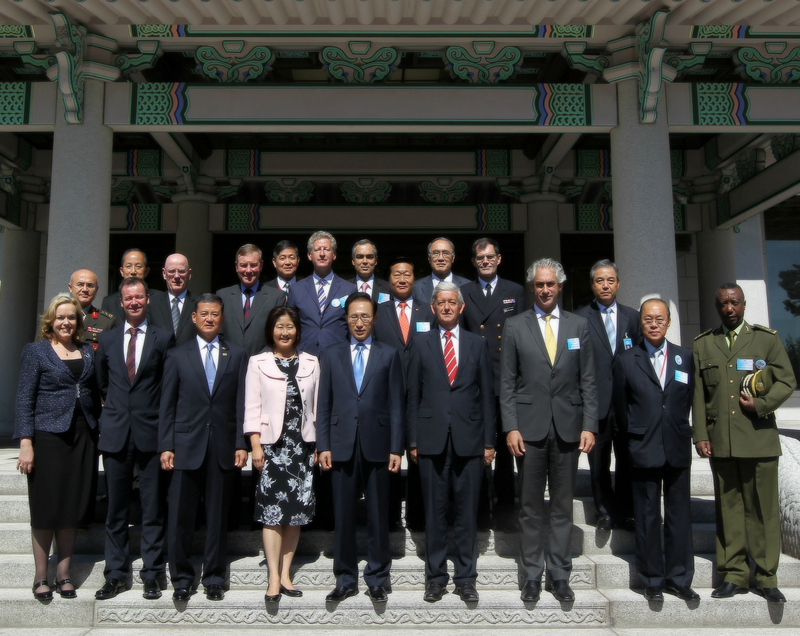 One of the first was in Seoul, the city of my birth, in 2010, sitting at a round table as the Canadian representative with the Heads of delegations from nearly 20 countries that had been part of the United Nations force during the Korean War. 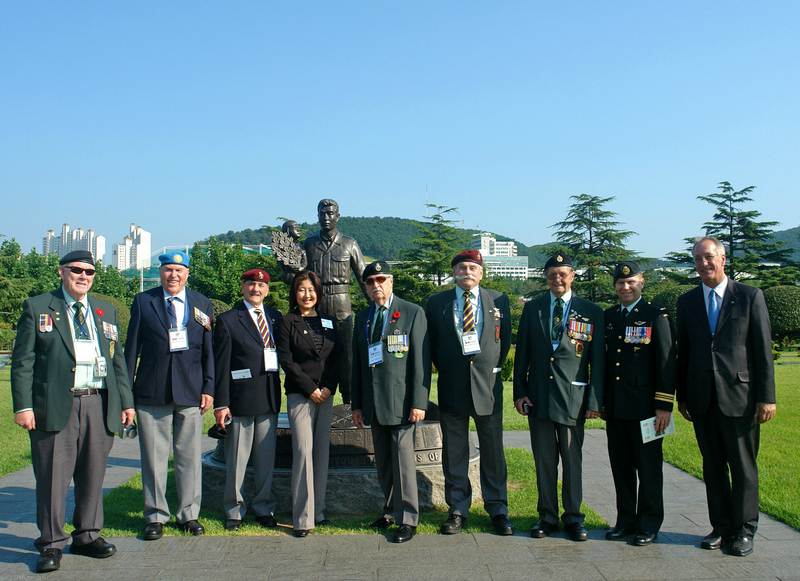 I was there for the 60th anniversary commemoration of the Liberation of Seoul, with several Canadian veterans, most returning to Korea for the first time in six decades. As each of us were asked to speak in turn at this tea with President Lee Myung-bak, I rose to speak, and just as I did, the President interjected with these words that are now etched in my memory: “Senator Yonah Martin is a proud daughter of Korea, and she is here as the Canadian representative…” In that moment, I felt a swell of pride as a daughter of Korea, the country of my birth and equally as a daughter of Canada, my home sweet home. I was proud to be representing Canada, my home since 1972. As a Senator of Canada, I am a public servant. My mandate is to serve to the best of my ability for as long as I hold public office. Therefore, when Canadians speak of me, I hope they will say that I served them well, with respect and compassion, and brought honour to the Upper Chamber during my tenure. Q: Has your gender or your ethnicity presented any challenges in your life? If so, how did you overcome them? In difficult situations, where you to find your strength? Knowing what you know now, what advice would you tell your younger self? I have been fortunate to live in Vancouver for forty years, a place that has been ethno-culturally diverse for as long as I can remember. Not only that, but blessed to have grown up in East Vancouver, where the diversity is even more visible than elsewhere in the city. Other than my first year in Canada and early memories of culture shock, Vancouver has been an amazing city in which to grow up as a proud Korean-Canadian. That is not to say that I have not struggled with my own self-identity; this self-reflective process is inescapable, regardless of gender or ethnicity. It’s a part of everyone’s life journey. And I have experienced racism or discrimination in Canada, as would be expected over a 40-year period, as I have also faced prejudice and sexism within the Korean community. Being a 1.5 (2nd/3rd gen or quarter/half/part or an adopted) Korean-Canadian does not mean we are “less” Korean than someone who is “Korean-born”, “full-blooded” or “fluent”. I used to think that it was a zero-sum equation, whereby my Korean-ness and Canadian-ness had to equal 100%. On some days, I felt 50-50 or 30-70, etc but more or less Korean, depending on how included I felt in the situation or how others treated me. In 2004, I heard Sandy Lee, the first Korean-Canadian politician in Canadian history, say that being Korean Canadians is to be “as strong as two people”. It’s up to each Korean Canadian as to how much we embrace the dual-identity so that we are 100% of each in our minds and hearts. It was a crystallizing moment for me to see myself as “strong as two people” as a Canadian of Korean descent; and have raised my daughter (who is “half-Korean”) to also be proud of her 100% Korean heritage and be “as strong as two people”. And she is. Q: I read that your daughter’s desire at a young age to connect with the Korean community has influenced your own journey to better understand and embrace your Korean identity and this eventually lead to you co-founding the C3 Society. Were you surprised by your daughter’s interest? Do you think it’s important for young people to learn about their heritage — if so, why? C3 Society (www.c3society.org) was inspired by a number of events and people, one of them being my daughter, Kiana. When Kiana first started asking questions to me that hinted at a search for “identity”, she was only four. I was so surprise to hear her questions at such a young age. I remember one morning as I was getting ready for work, she was looking up at me with bright eyes, intently examining my face and then asking, “Mama, why is my face different from mama’s?” (Kiana used the word “different” to describe anything that stood out or made her feel “different”, like the time she was the only tiny tot wearing powder blue tights and tutu while others in her class wore pink). There were other questions that followed. What puzzled me was why my Canadian-born daughter with a “white” Canadian father and a Canadianized Asian mother who spoke English as if it were her native tongue, would be questioning her “identity”? Why?? The reason is that we all do, in one way or another that is both unique and universal. Kiana is a perfect blend of me and my husband, a “happa” or mixed-race child. When she’s with a group of Korean-Korean children, she looks clearly caucasian. And when she’s with a group of fair-haired caucasians, she looks quite Asian. We live in East Vancouver which is more than 80-90% Asian. And at the time, we lived with my parents who were her primary care givers; she was attending a Korean church; and on Saturdays, a Korean language school attended mostly by Korean Canadians. So, wherever Kiana looked in her life, she saw mostly Asians and she felt “different”. I realized that there was a danger of my daughter being squarely “in between”, not fitting in, in either worlds. That really got my attention and I knew that I had a responsibility as a mother to create opportunities for my daughter (and others like her) to experience Korean culture and feel connected to her Korean roots. C3 Society was one of the ways to create a place of belonging for my daughter. What I hadn’t anticipated was that in helping others find a place of belonging, that I would ultimately find my own. I can honestly say that through the process of co-founding, shaping, and implementing the vision of C3 through various initiatives (like Korean Heritage Day Festivals, Camp Korea or Career Leadership Conferences), I truly found my distinct role in Canadian society – to “bridge communities” (C3’s mandate). I encourage my daughter and others to feel “as strong as two people” as they learn about Korean history and experience Korean culture. There is nothing more empowering than knowing one’s own past. I would like express my appreciation to Senator Martin for taking the time to answer my questions. I thoroughly enjoyed reading her responses. And many thanks to her Executive Assistant Grace Seears for co-ordinating the interview. Thank you for such a great piece. Inspiring indeed.